Every photographer and especially a professional familiar with this concept as a negative. The word is derived from Latin negativus, indicates to the contrary, the negative value color: the lighter spots on the film are dark and Vice versa. The brightness of the color also changes in the opposite direction, and the more pale areas of the image the result is the most vivid. Printing from a negatives gives you the opportunity to obtain more clear pictures, touch up any areas of skin or clothing in the direction of improvement. How to make photos negative? Come to the aid of the Adobe Photoshop application. Open the image that will be converted to negative. The next step is to invert the colors. Inversion – a change of colors on the opposite, the opposite. Help make this Ctrl + I or you can do through the menu "Image – Adjustment - Invert (Image – Adjustments – Invert). You will see that the color of the source image has changed. Many stop at the second step, but this is wrong, as the negativity was not created until the end. After inverting is necessary to discolor your image. 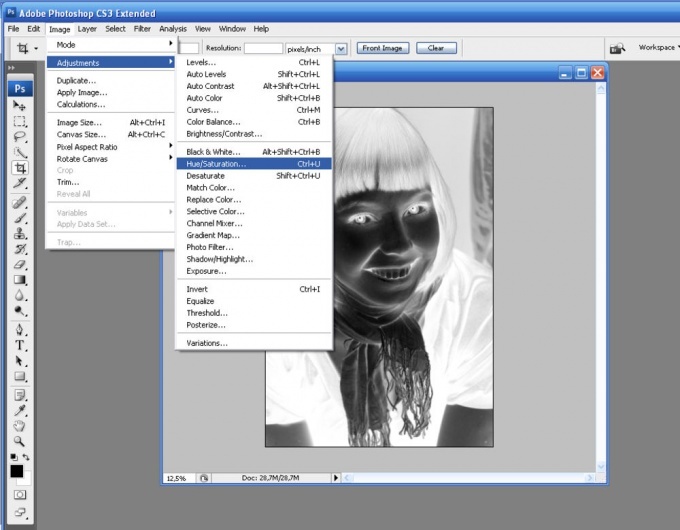 This can be done from the keyboard – Shift + Ctrl + U or via the menu "Image – Adjustment – Desaturate" (Image – Adjustments – Desaturate). As you can see, the image became totally black and white. Next you need to correct pictures. 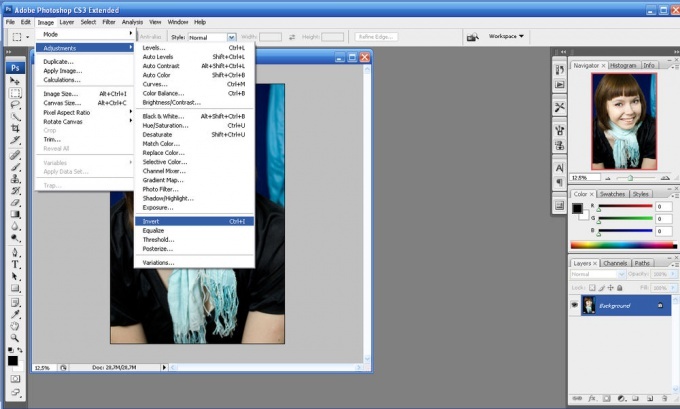 Come to the aid of the menu "Image – Adjustment – hue and saturation (Image – Adjustments – Hue/Saturation). There is sure to tick next to the option "Rendering" (Colorize). Next, the cursor will change the values of fields from top to bottom: color tone (hue) – 209, saturation to 15, the brightness (lightness) remains the same, zero. Click OK. The next step is to work on the relationship between light and shadow: "the Image – Correction – Light/Shadows (Image – Adjustments – Shadows/Highlights). A new window will open image correction. If it's small, click the bottom "more options" (Show More Options). Change the indicators-tone and light so that the image is more saturated and of high quality. In "Shadows" - Shadows put the following values: number – 0, the width of the tonal range – 50, radius 30 pixels. In the menu "Light": effect – 35, the width of the tonal range of light – 75, radius – 30. The values of color correction and contrast in the midtones needs to be negative: color correction need to be put on level – 8, mid-tone contrast -10. Often when you create a negativeimage of the ov flip. This can be done using the menu item "Image – Rotation and reflection" (Image - Rotate Canvas). Your negative is ready. 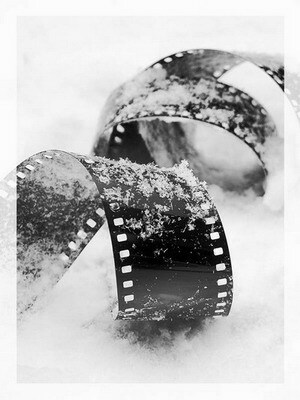 Surely most people have kept many old but dear to the heart photographs along with negatives. And many people still use film cameras. In the age of modern innovation when one technical innovation ahead of its features and capabilities another issue may be easily solvable. Save precious images will help you USB scanner that is ideal for home use. 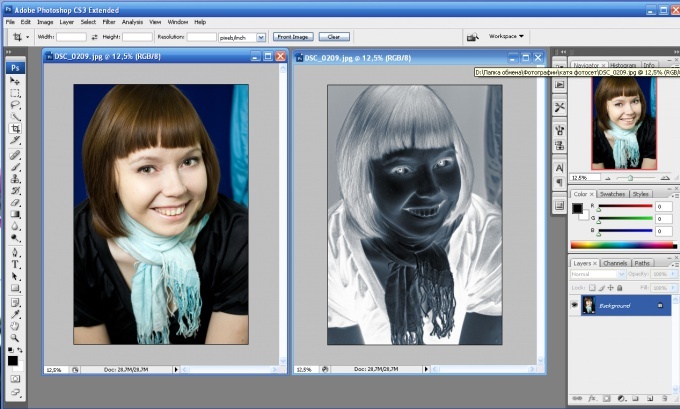 If there is such a USB scanner, it is possible to put pictures from negatives directly into the computer. A miniature device in a matter of minutes, it scans, recognizes and saves the image with the negatives to jpeg, tiff and other formats. Usually, it comes bundled with Photoshop and other drivers.USB scanner is a small device that works via a USB port and is designed to "digitize" photographs with negatives. 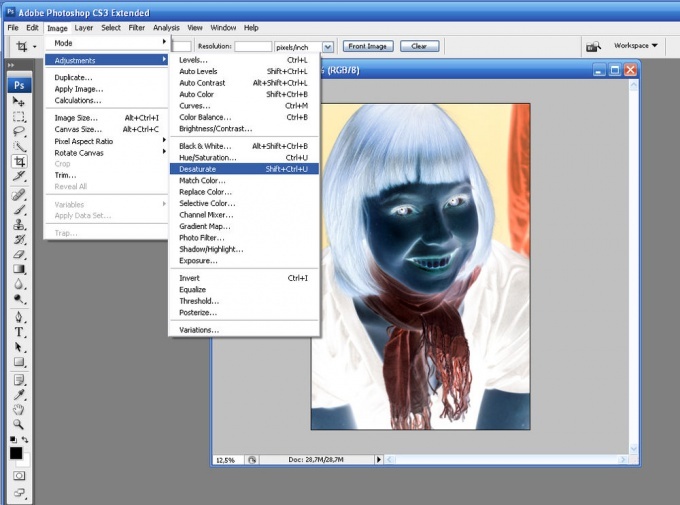 With one click you can download to computer color image with a resolution of 5 megapixels. To the USB scanner also comes with special software to adjust the colors in the picture. Just connect the USB scanner to the computer and configure the parameters according to the instructions. Depending on the frequency of use of the system options it is recommended to connect modularly or integrally. If you plan to use the scanner so often, or just value your computer resources use modular connection, because the driver support will be included only when necessary. Check out the recording on the connected device. When the scanner is normally detected by your system, you can start working with it.Now you can conveniently store your old photos in the computer to create pictures in a new capacity, because they represent significant life events and places where you once visited.